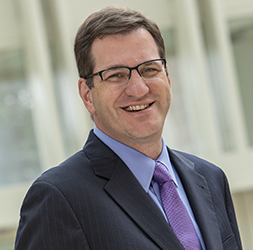 Steve Malter is the Senior Associate Dean of Undergraduate and Graduate Programs at the Olin Business School at Washington University in St. Louis. He joined Olin in 2004 and is now responsible for the management of the undergraduate and graduates programs’, advising, admissions, student engagement, global programs in addition to the oversight of the Weston Career Center, the Center of Experiential Learning and the Business of Sports program. In his time at Olin, Steve has led or assisted with the development of seven courses at including many courses including Olin’s Israel based initiatives which include innovative courses such as Business, Innovation, and Entrepreneurship in Israel and Venture Consulting in Israel. Steve is responsible for the creation and development of the Israel Summer Business Academy, a six-week summer course based in Israel that launched in June of 2014 open to all undergraduate students at any university.